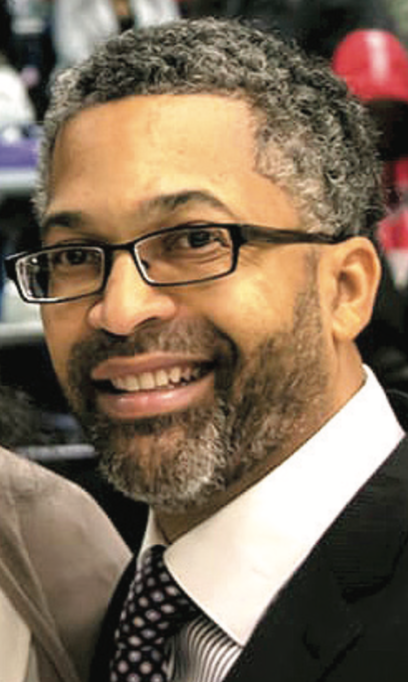 Celebrated radio deejay Reggie “Reg” Davis will hang up his headphones but continue his longtime relationship with a microphone when he addresses Wayne County residents as the newest member of the Wayne County Board of Commissioners. Davis, a native Detroiter, was appointed to the Commission in January to ll the county’s 6th District seat. “I had a dream as early as the age of 7, where I was in a room with a microphone and I lifted up my voice to effect positive change for people who look like me,” explains Davis, a long- time student of social activism and political parity. The multi-award-winning media icon previously served as deputy district manager of the 1st District Detroit’s Department of Neighborhoods. He was elected in 2009 to a term on the Detroit City Charter Revision Commission and served three years in that capacity. The tough talking community advocate’s commitment to public service escalated following the fatal shooting of 7-year- old Aiyana Stanley-Jones by a Detroit police officer during a police raid. “I was the guiding force while on the Detroit City Charter Revision Commission, behind [establishing] an elected police commission with oversight over the paramilitary group called the Detroit Police Department … I did that,” asserts Davis. No stranger to senseless tragedy and unimaginable loss, Davis picked up the banner of community advocacy and living a life of public service after his younger brother Vito was murdered in Detroit in 2001. The Murray-Wright High School graduate says his com- ing of age as a child living in the Joy Rd.-Dexter Ave. area heightened his awareness of civic responsibility and the need for formal involvement in the governing process. Davis will end his 35-year career in the media this month, in order to abide by legislative guidelines that require equal time for political candidates and to more fully serve the citizens of Wayne County. • Repairing the many miles of road that the county is responsible for in communities such as Detroit. • Meeting other county responsibilities, including keeping lights working. • Assisting senior citizens and children who are battling poverty. • Working to ensure that those who have mental health challenges receive treatment, not incarceration, when appropriate so they can become productive citizens. Davis vows to use his new platform as county commissioner to promote non-violence and youth enhancement programs. Davis founded the CeaseFire Youth Initiative after his brother’s murder, a non-violent conflict resolution advocacy organization aimed at curbing youth violence. “Five young men between the ages of 17 and 20 were responsible for my brother’s murder, but rather than condemn them, I recognized that they did not have fathers or older brothers or other male role models to teach them about manhood, so I had to forgive them,” he says solemnly. Davis, a Rosa Parks scholar and an alumnus of Oral Roberts University in Tulsa, Oklahoma, says he will continue to memorialize his brother by working for a safer Wayne County. In 2004, he was awarded an honorary degree from the Specs Howard School of Broad- cast Arts after winning three. He was also nominated for a national Radio Personality Award in 2001 by The Radio & Records Trade Company.